Christmas may have passed but my mood for some *age of innocence* reminiscent has not. There’s one song here, “In our lives”, standing out not only due to its beautiful melody but also because it features a children’s choir [aka angelic vocals by definition]. Mix that with some Rock (in this case, and according to experts in labelling, *Neo-Prog Rock*) music and you got yourself an irresistible combination. Not the most complete description I guess, but then again this is not really my field. There’s always ProgArchive.com if you need an expert’s opinion. The credits printed under each song’s lyrics contradict the ones found at the booklet’s second-to-last page. Did all members contribute in the compositions, or was it just Glenn McLaughlin? 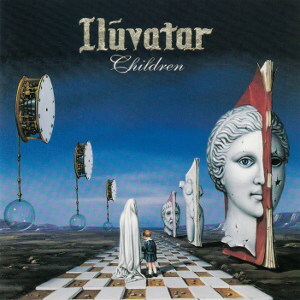 Been fishing around for ages trying to find Ilúvatar in FLAC, so thank you very much for sharing.